At an event in Delhi today, Motorola has launched the Moto E4 Plus as well as the Moto E4 smartphones. Both smartphones were recently launched globally. The Moto E4 has been launched in India with a price tag of Rs 8,999. The company has opted for the offline route, and this smartphone will be available starting today across major retail stores. The smartphone will be available in color choices of iron grey, and fine gold. In terms of design, the smartphone comes with a metal design just like the Moto E4 Plus. The smartphone looks very similar to the Moto G5 series. Among the talking points of the smartphone is its water-repellant nano coating feature. The smartphones also houses a physical home button, which doubles up as a fingerprint sensor. The Moto E4 features a 5-inch HD display. Under its hood is a Mediatek MT6737 quad-core SoC clocked at 1.3GHz and paired with 2GB of RAM. There is 16GB of internal storage, which is further expandable up to 128GB via a microSD card. In the photography department, the Moto E4 sports an 8-megapixel rear camera with auto-focus and f/2.2 aperture. Up front, the smartphone houses a 5-megapixel camera with flash for selfies and video calling. The Moto E4 is fuelled by a 2,800mAh battery. On the software front, the smartphone runs on Android 7.1 Nougat out-of-the-box. In terms of connectivity, the smartphone includes dual-SIM support, 4G LTE, Wi-Fi and Bluetooth 4.1. In terms of competition, the smartphone will lock horns with the likes of already established budget smartphones like YU Yureka Black, and Xiaomi Redmi 4 to name a few. Both smartphones are also priced at Rs 8,999. 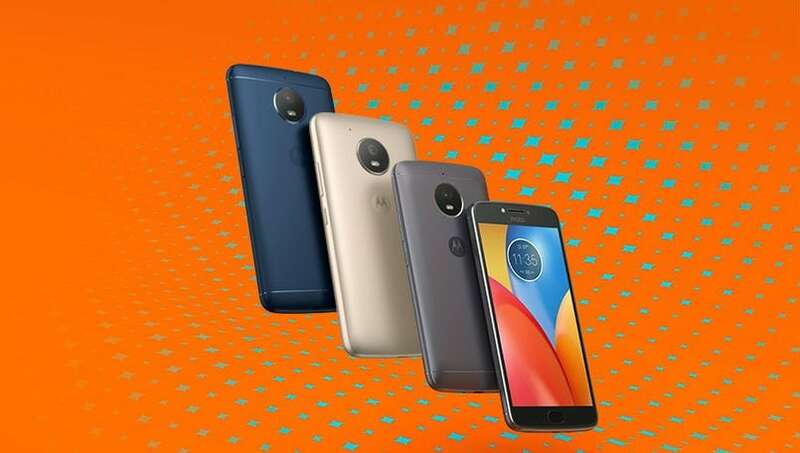 Along with the Moto E4, Motorola today also launched the Moto E4 Plus, which will be available on Flipkart for Rs 9,999. The smartphone comes with a bigger 5.5-inch HD display, Mediatek MT6737 quad-core SoC, 3GB of RAM, and 32GB internal storage. The rest of the specifications include 13-megapixel rear auto-focus camera, 5-megapixel front-facing camera with flash, and a 5,000mAh battery with support for fast charging.